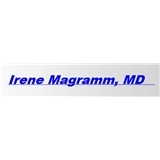 Irene Magramm, M.D, PC (New York) - Book Appointment Online! Dr. Magramm is a highly qualified ophthalmologist specializing in pediatric and adult ophthalmology and also strabismus (eye muscle problems in children and adults)and general ophthalmology. She specializes in surgical correction of strabismus (crossed eyes)and relief of double vision with prism correction. Dr. Magramm is Assistant Clinical Professor of Ophthalmology at Weill Cornell Medical College and a member of the Greater New York Society for Pediatric Ophthalmology and Strabismus. Co-Pays and miscellaneous payments (other than insurances) are due the date of service.